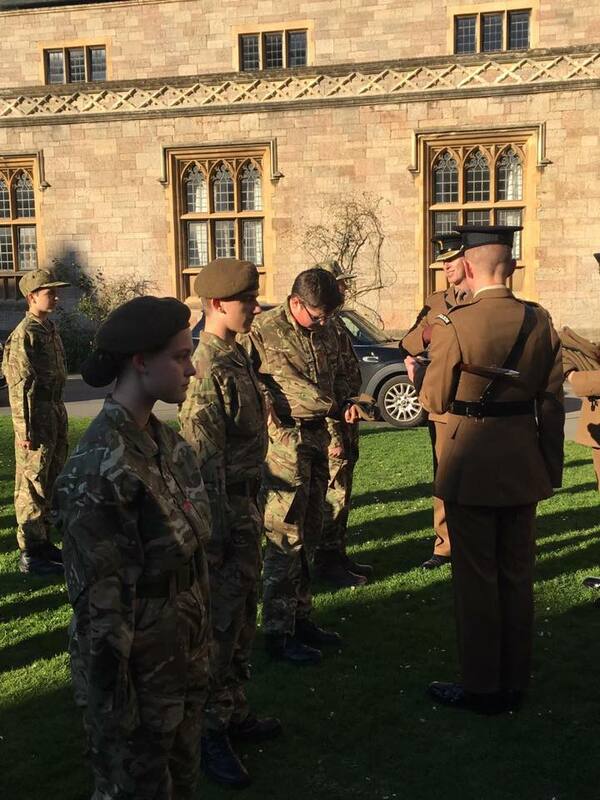 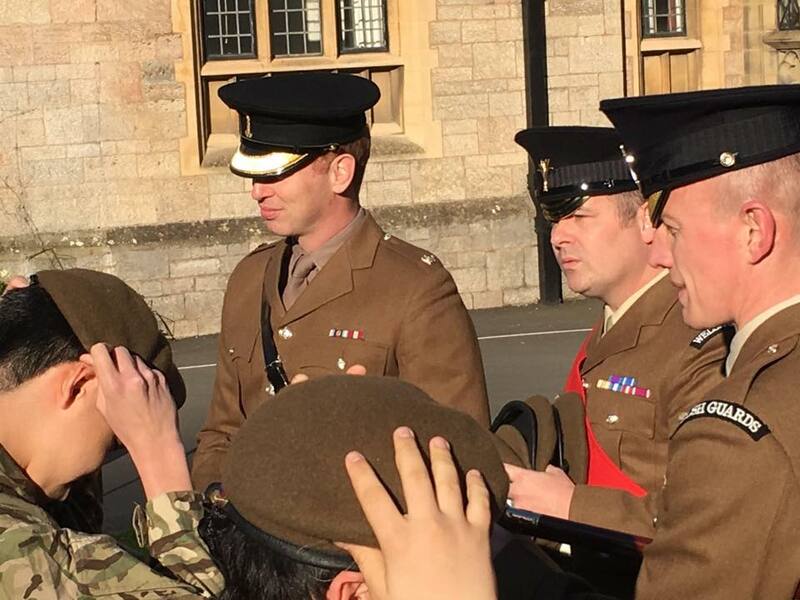 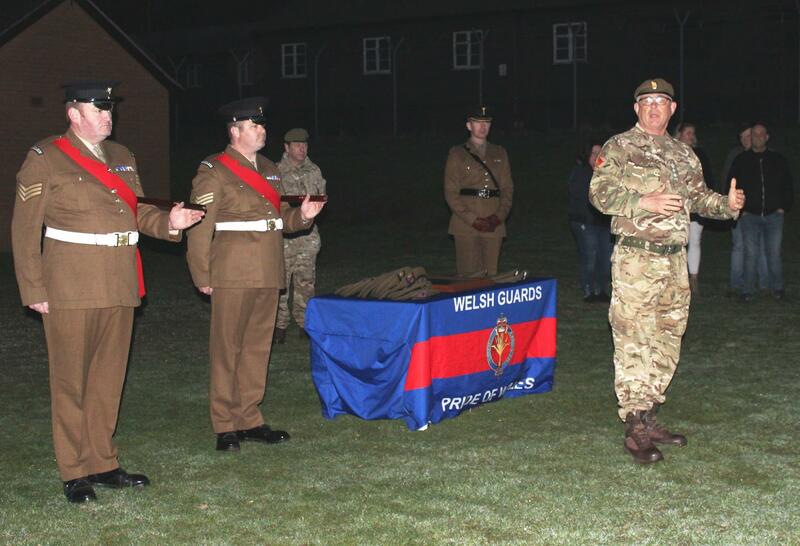 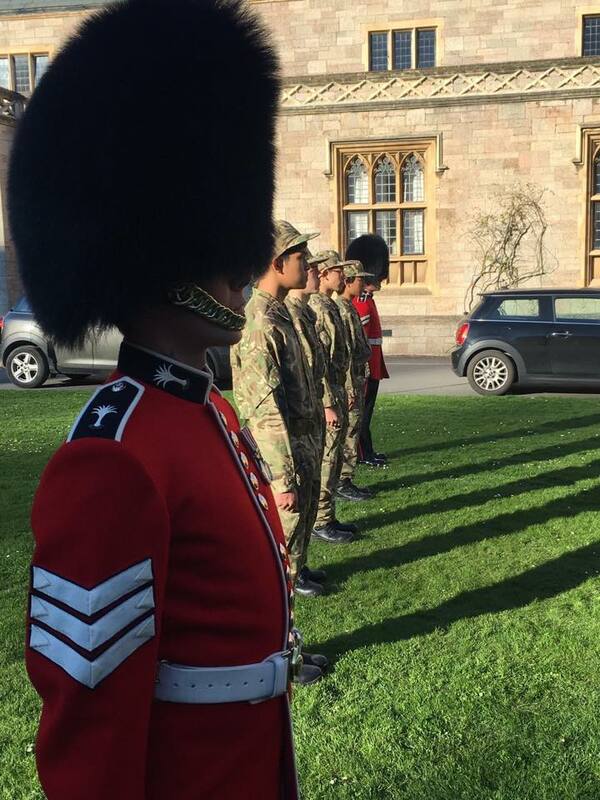 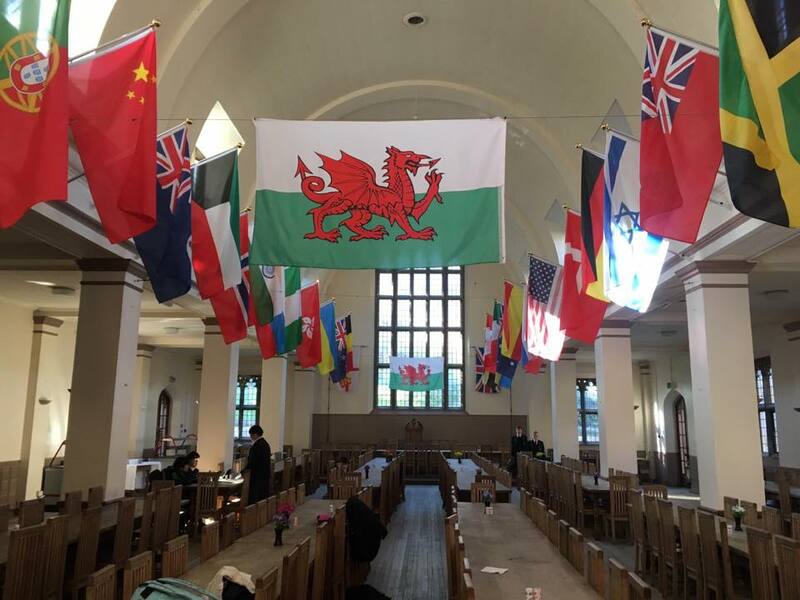 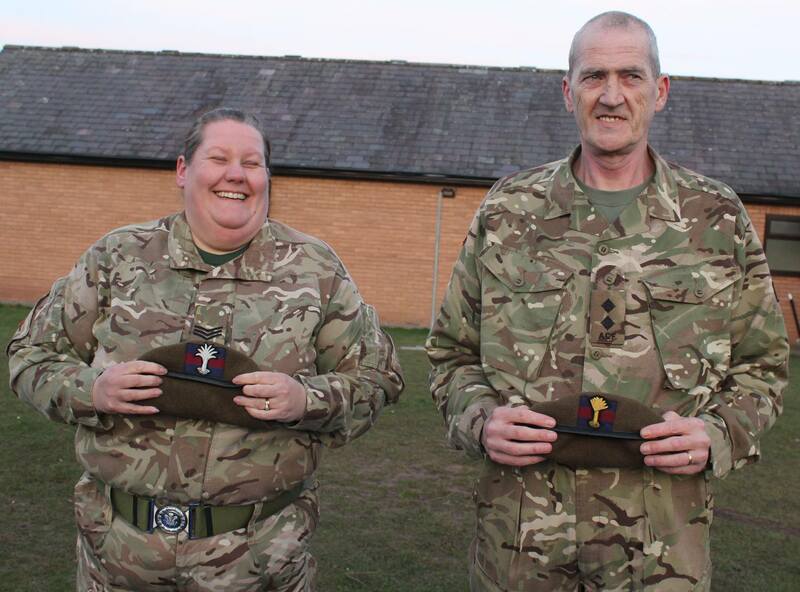 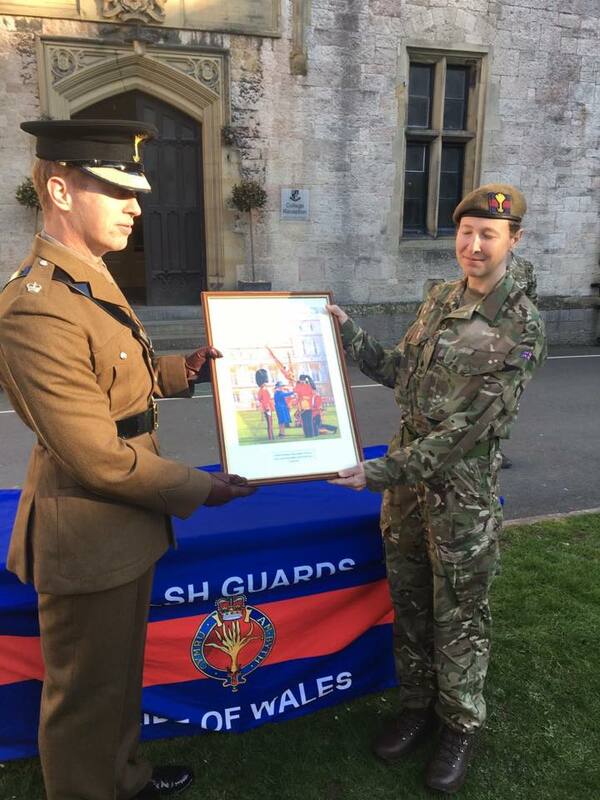 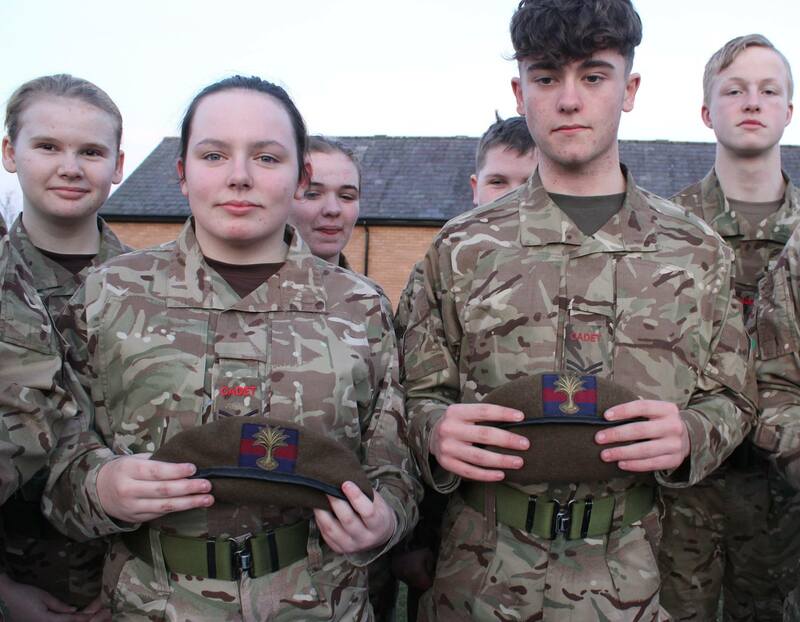 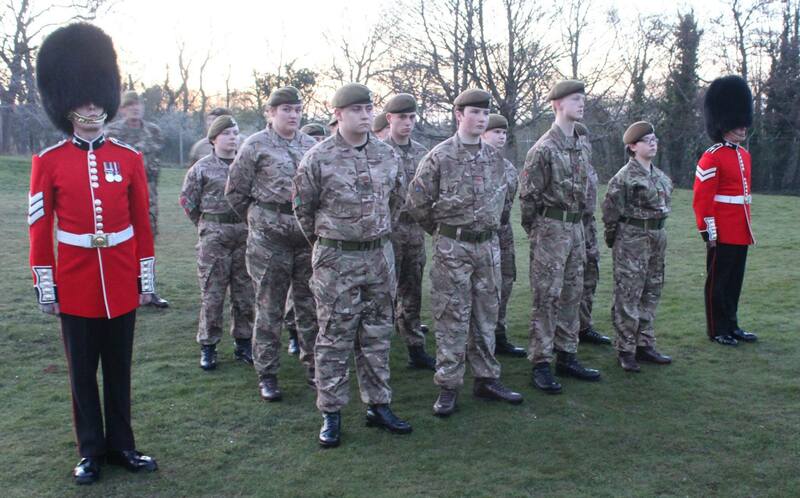 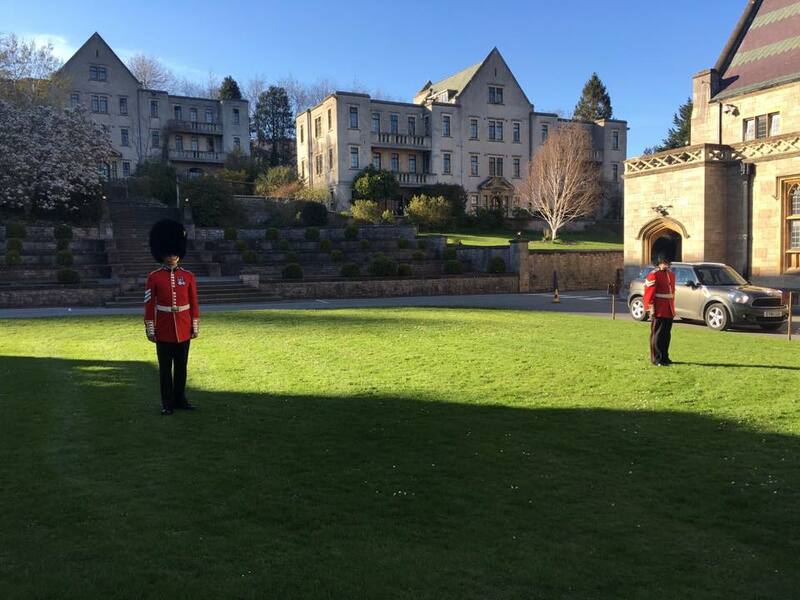 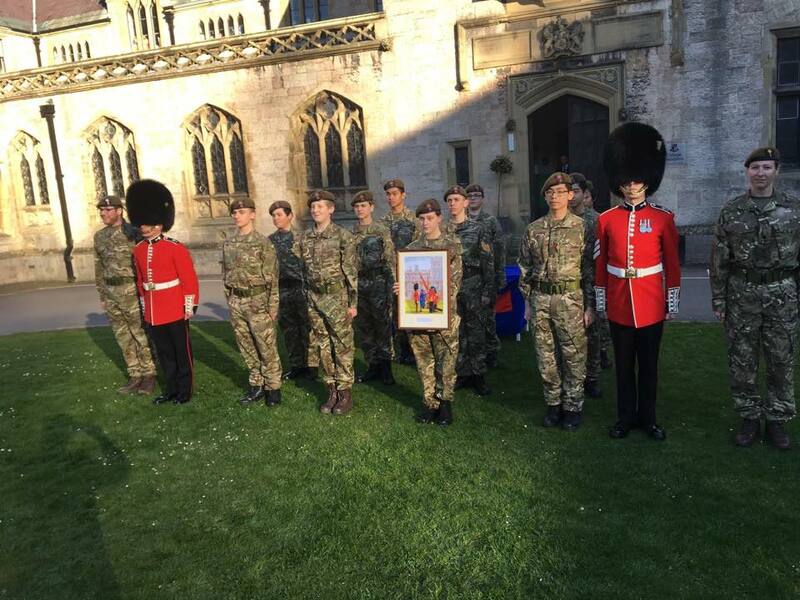 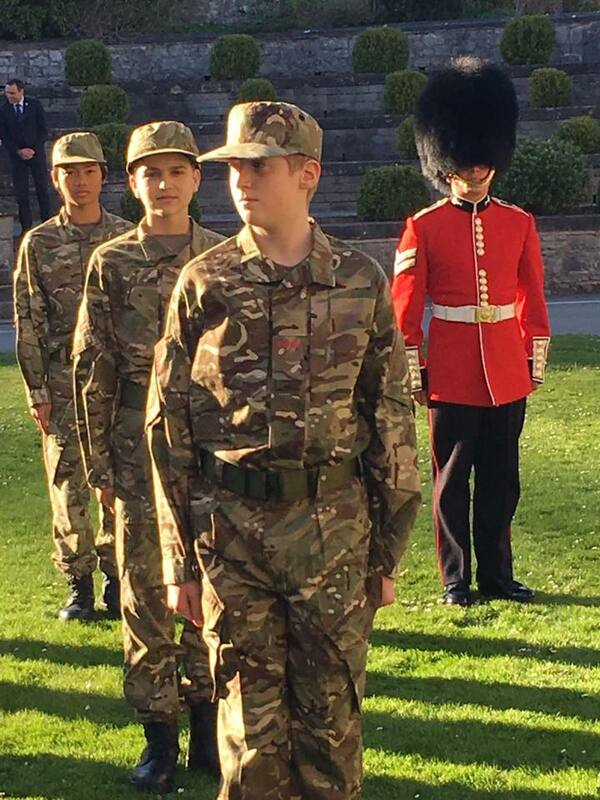 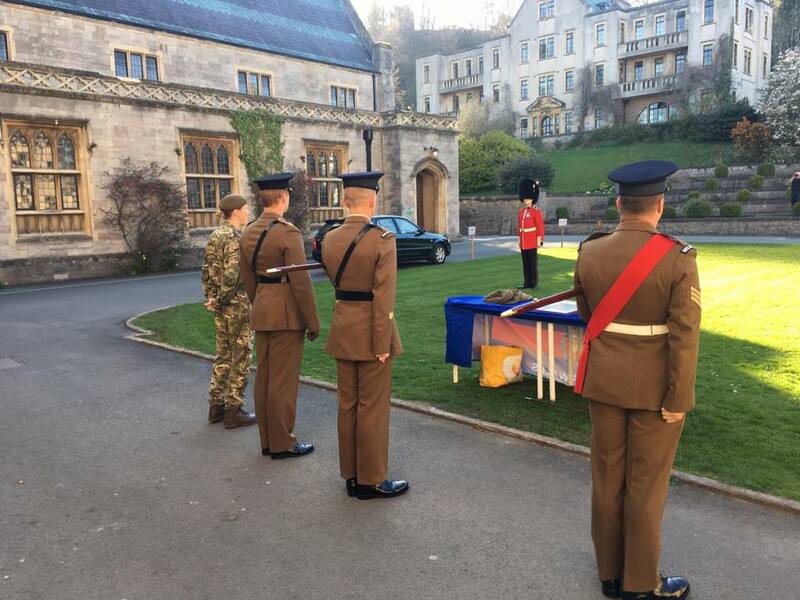 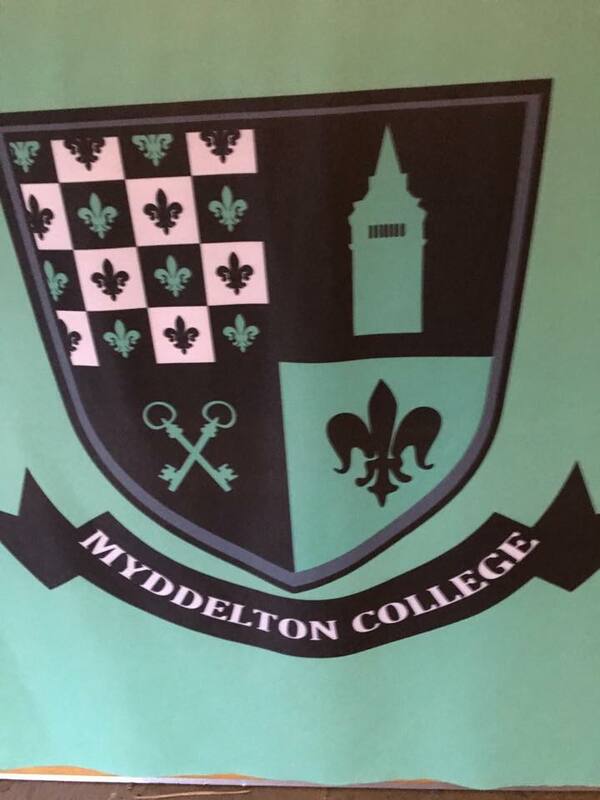 This week the Welsh Guards have had the honour of performing a Cap Badging Ceremony at Myddelton College in Denbigh, North Wales which formally enrols the School’s Combined Cadet Force as a Welsh Guards Platoon. 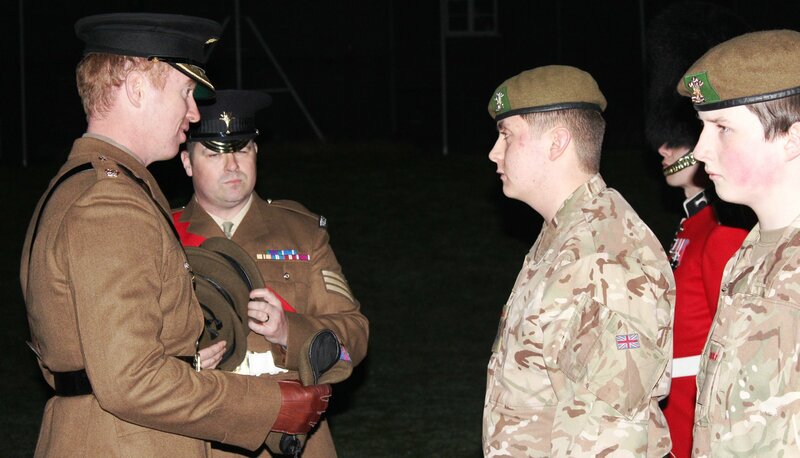 Major Chris Davies, Officer Commanding The Prince of Wales’s Company, accompanied by Warrant Officer Class 2 Dan Cope, the Recruiting Warrant Officer, handed out berets adorned with the Welsh Guards leek to the cadets who hail from all around the world, including Thailand, Argentina, Brazil and Vietnam alongside those closer to home from North Wales. 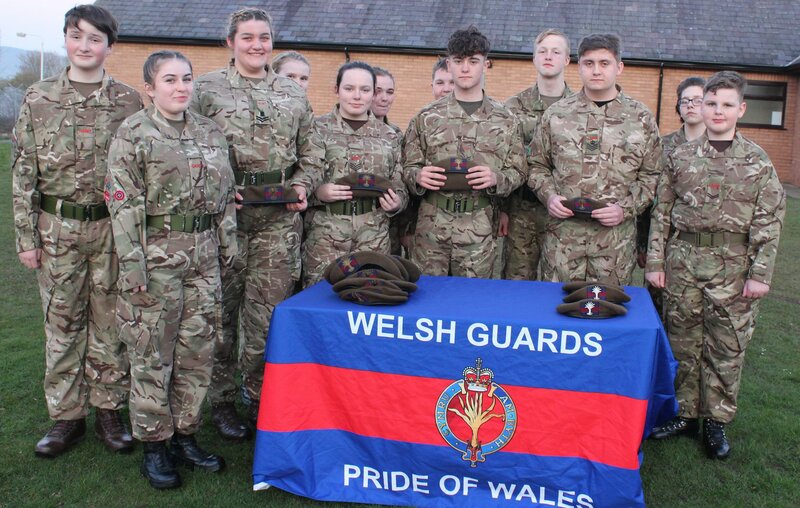 Major Davies said “it has been a pleasure and delight to present new cap badges to members of Holywell detachment and welcome them into the Welsh Guards family” adding “it was also a pleasure on behalf of the Welsh Guards to present commemorative pictures to both Holywell and Brynteg detachments depicting Her Majesty The Queen, the Regiments Colonel-in-Chief, presenting new Colours to the Regiment in Windsor. 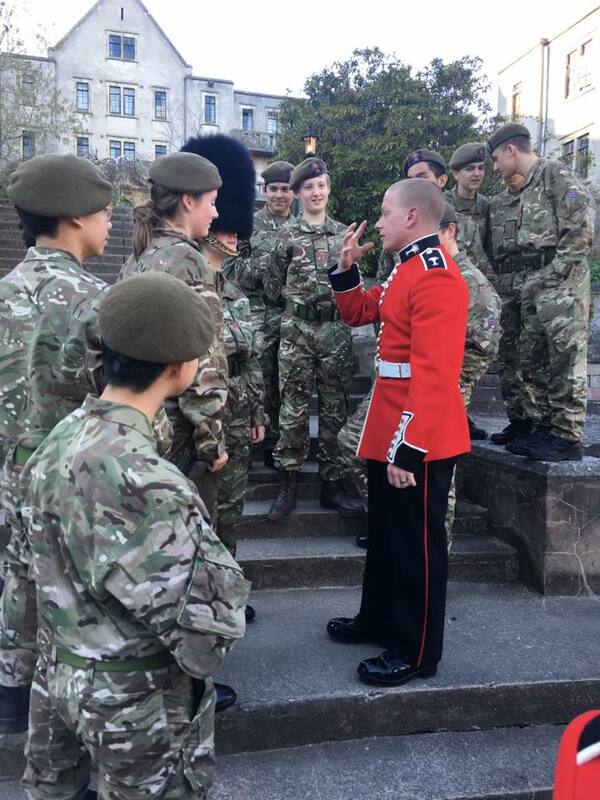 After the parade the cadets got to try the bearskins on, but not before the Assistant Headmaster and members of staff got the chance to become a Guardsman.